Not enough movies use board games as a central part of the plot. Here are five movies that do, and each is enjoyable in its own way. If you like to see board games put to use in feature films, this is your list. 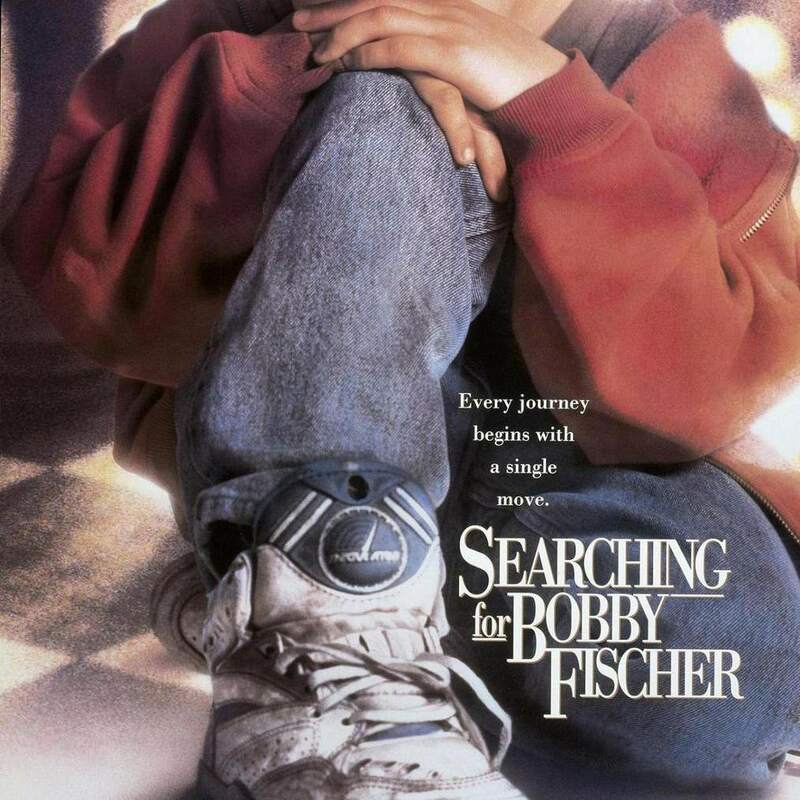 Searching for Bobby Fischer movie poster. Ben Kingsley, Laurence Fishburn, and Joe Mantegna all turn in superb performances in this wonderful film. (William H. Macy, one of my favorite actors, also has a small role.) Chess prodigy Josh Waitzkin struggles to mesh his love of the game with his father's (Mantegna) obsession with winning. An underrated classic. This Scrabble documentary focuses on four of the world's best Scrabble players: G.I. Joel Sherman, Joe Edley, Marlon Hill, and Matt Graham. The movie culminates with the 2002 National Scrabble Championship, where the top prize is $25,000. Studio still, Clue central cast (Left-to-Right, Colleen Camp, Lesley Ann Warren, Michael McKean (rear), Tim Curry (front), Christopher Lloyd, Martin Mull, Madeline Kahn). Professor Plum (Christopher Lloyd), Colonel Mustard (Martin Mull), and Mrs. White (Madeline Kahn) all come to life in this 1985 comedy, which also stars Tim Curry and Michael McKean. Skillfully written and filled with slapstick comedy and clever wordplay, this movie provides a delightful romp through Mr. Boddy's mansion. Another Scrabble documentary, this 50-minute film was shot mainly during the World Scrabble Championships in Las Vegas. Among the featured players are the highest-rated woman player, an options trader, a professional gambler, a stand-up comic, and the executive director of the National Scrabble Association. Uber Goober, subtitled "a film about gamers," is a 90-minute look at the culture of gaming -- including roleplaying games and historical miniature games. The movie features interviews with Dungeons and Dragons creator E. Gary Gygax, televangelist Bob Larson, author Mike Stackpole, and cartoonist John Kovalic. Robin Williams stars as a boy who gets sucked into a board game and doesn't escape until more than two decades later as a grown man used to living in the jungle. This was among Kirsten Dunst's first films; Bebe Neuwirth and Bonnie Hunt also appear. The special effects -- praised by some, panned by others -- are provided by Industrial Light and Magic. A Bug's Life movie poster. What's this computer-animated movie from the makers of "Toy Story" doing on this list? Excellent question -- here's the answer: "Geri's Game," a short film about playing chess alone in the park, appears on both the VHS and the DVD editions. A short but important scene involving Scrabble lands this 1992 Robert Redford techno-spy thriller on the list. Other stars include River Phoenix, James Earl Jones, Sidney Poitier, Timothy Busfield, and Dan Aykroyd.